The only catch is that the order MUST be placed today, December 17th till midnight PST. And yes, your order WILL arrive by the end of December 24th! 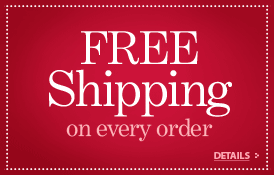 Please pick "FREE Standard" shipping option on checkout page.